Tiffins has waterfront views, indoor and outdoor seating for 252 people and is open for both lunch and dinner. The menu celebrates the art of traveling and features foods from Europe, Africa, Asia, and the Americas, the locations that inspired Animal Kingdom. "Tiffin" means midday meal or a container to carry food while traveling. The wall in the entryway features a detailed map that "sets the stage for an immersive dining experience celebrating world travel with bold artwork derived from sketches, journals, and research from those who created the theme park." There are three galleries, or dining rooms, in the space that "focus on Asia (Trek Gallery with 74 seats) and Africa (Safari Gallery with 64 seats), and the third (Grand Gallery with 114 seats) pays homage to animal species that the Disney Conservation Fund works to protect." The travel-inspired artwork includes a three-dimensional piece hanging in the Trek Gallery that features prayer flags blowing in the wind. Emily O’Brien, Walt Disney Imagineering executive show producer for Disney’s Animal Kingdom, said, "As our research team traveled up the high mountains of Nepal, the winds were strong. The prayer flags are rarely seen hanging, they are always blowing." Tier I and Tier II Festival of the Lion King Signature Dining Packages are now available at Tiffins. Tier I includes lunch or dinner at Tiffins Restaurant, priority VIP seating at Festival of the Lion King, and a safari tour. Pricing is $99 per adult and $49 per child age 3 and under. 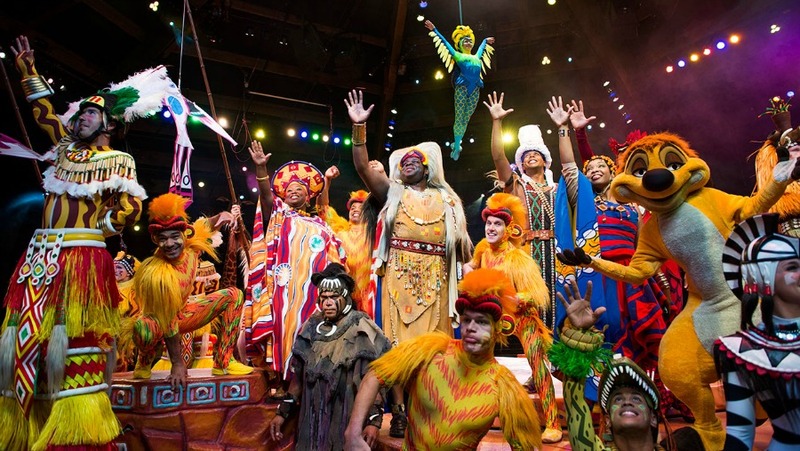 Tier II includes lunch or dinner at Tiffins Restaurant and priority reserved seating at Festival of the Lion King. Pricing is $74 per adult and $29 for children ages 3-9. A dining package is also available for the park's nighttime show, Rivers of Light. Guests who book this package will get reserved seating for the show that same evening with the purchase of their meal. The package is available for lunch or dinner and includes your choice of appetizer, entrée, dessert, and non-alcoholic beverage. The dining package meal starts at $67 for adults and $26 for children ages 3-9 or two table-service meal credits on the Disney Dining Plan. Please Note: Listed dining packages exclude tax, park admission, gratuity, and alcohol. Menu discrepancies or corrections about Tiffins? Let us know!